Each year I receive 10 varieties of tomatoes from Kansas State University that our master gardener volunteers grow and keep data. Through this research many characteristics are learned about varieties and potential issues they may have. One of these issues is cracking. Tomatoes often have problems with cracking caused by pressure inside the fruit that is more than the skin can handle. Cracks are usually on the upper part of the fruit and can be concentric (in concentric circles around the stem) or radial (radiating from the stem). We don’t know everything about cracking but here is what we do know. Tomatoes have a root system that is very dense and fibrous and is quite efficient in picking up water. Unfortunately, the root system can become unbalanced with the top of the plant. Early in the season it may be small in relation to the top growth resulting in blossom-end rot during hot dry weather. Later it may be so efficient that it provides too much water when we get rain or irrigate heavily after a dry spell. This quick influx of water can cause the tomato fruit to crack. Therefore, even, consistent watering can help with cracking. Mulching will also help because it moderates moisture levels in the soil. However, you can do everything right and still have problems with cracking in some years. 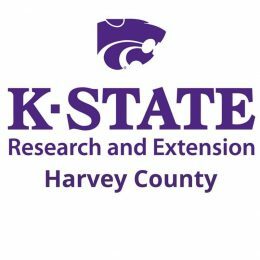 We have evaluated varieties for cracking during our tomato trials at K-State. It takes several years’ worth of data to get a good feel for crack-resistant varieties but we have found some real differences. Some varieties crack under about any condition and others are much more resistant. The difference seems to be pliability of skin rather than thickness — the more pliable the skin the more resistance to cracking. The old variety Jet Star has been the most crack resistant of any we have tested including the newer types. Unfortunately, Jet Star is an indeterminate variety that puts out rampant growth. Newer varieties with more controlled growth are often more attractive to gardeners. Mountain Spring, Mountain Pride, Mountain Fresh, Floralina and Sun Leaper are smaller-vined types that have shown good resistance to cracking. So, in the past 9 months we’ve had a late hard freeze, little rainfall, and before this was the driest six month winter period since 1936? That is a lot of stress on plants! This stress can take its toll. Environmental stressors such as drought, heat and cold are cumulative. In other words, trees can gradually weaken under continued stresses such as drought until they reach a point where significant damage or even death can occur quickly. Damage that occurred earlier may not appear until summer weather arrives. Plants may wither seemingly overnight. These trees probably died earlier but had enough food reserves to put out leaves and even to grow for a period of time. When the food reserves became depleted, the plants died suddenly. Be careful not to confuse this with feeding damage from May beetles or other insects. May beetles will strip a tree of leaves rather than leave them wilted and dead on the plant. Healthy trees will easily recover from May beetle damage by throwing out a new set of leaves. Before any tree is cut down, check the twigs. Dead trees will have brittle, dry stems that snap. Live stems may break, but they won’t be dry. If the tree is still alive, give it time to put out a new set of leaves. Recommendations: Trees that lose individual branches should have those branches cut out. Trees that are slow to leaf out need to be given extra care so that further stress is avoided. If you suspect you have plants under stress, try to water them every few weeks if there is no rainfall. Trees should be watered to a depth of 12 to 18 inches if possible. Water from the trunk out to the edge of the branches. Though this will not reach all the roots of a tree, it will reach the majority of them. Trees normally have at least 80 percent of their roots in the top foot of soil. Use a dowel or metal rod to check the depth of water. The rod will penetrate moist soil easily but will stop when dry earth is reached. Shrubs should be watered to a depth of 8 to 12 inches. Check the depth of watering by pushing a wooden dowel or metal rod into the soil. It will stop when it hits dry soil. Be sure to check out these great landscapes during the Second Century Library Foundation Flower and Garden Tour in Newton this weekend! The times are: 9 AM to Noon on Saturday, June 9 and 1 to 4 PM on Sunday, June 10. The homes on the tour include: 2413 College Ave. North Newton; 2913 Bluestem Court, North Newton; 314 Glendale, Newton; and 1704 Cypress Lane, Newton. This tour garden tour helps the library raised funds for the Newton Public Library. Suggested donation is $8.00. Admission brochure available at the gardens on the tour and the Newton Public Library. You don’t have to treat for grubs most of the time. Sometimes the damage they do does warrant treatment to prevent damage to your lawn. If you plan on using a grub preventative on your lawn, the first half of July is a good target date for most products. Preventatives are normally used on areas that have had a history of grub problems. Traditional grub insecticides such as Dylox or carbaryl (Sevin) are normally applied in late July after grubs are present or as a rescue treatment once damage is seen. Products that contain Merit (imidacloprid) are considered grub preventers. Actually, these products do not prevent grubs, but rather kill grubs when they are quite small, and long before they cause damage. Merit is safer to use around pets and humans than traditional grub killers. Merit can be found in Bayer’s Season-Long Grub Control, Grub No-More and Grub Free Zone. Another grub preventer with the trade name GrubEx contains chlorantraniliprole. Though this product is very effective, it is less water soluble than imidacloprid. It should be applied earlier, preferably April or May, but applications through June should still be effective. Remember, all grub products should be watered in soon after application. There are many benefits to using mulch! Mulching is an important practice that is often overlooked. Mulching can reduce the time spent in cultivating. * Keep soil temperature uniform. * Reduce frost damage to fruit. One of the most effective ways of reducing the need to apply water to garden plants and conserve natural rainfall is to use garden mulches. Mulches are most appropriately used on summer crops when periods of water use are greatest. Mulches provide a barrier that helps prevent moisture loss from the soil by evaporation. They also can be useful in maintaining cooler soil temperatures, controlling weeds, reducing soil compaction, and keeping produce cleaner. If you were to ask a farmers’ market grower what it takes to have a successful vegetable garden he or she may say it takes a lot of work! A lot of effort goes into producing a successful garden be it for the farmers’ market or in the back yard. There are many things to do between planting time and harvest. Consider each of the following cultural practices. Thinning many small seeded crops need to be thinned. For crops such as beets, carrots, radishes, turnips, and direct-seeded tomatoes or onions, it is necessary to thin some young plants from the thickly seeded row. An advantage of this process is that you can select the best of several plants and remove the poorer ones. This should be done 1-2 weeks after emergence of the seedlings. Weeding and cultivating Weeds are a natural garden competitor. They compete with vegetable plants for water, nutrients, and space. The use of mulches and cultivation will help control weeds. Don’t allow weeds to get a start. Control them when they are small. Mulching can reduce the time spent in cultivating. The fescue lawns in Harvey County have greened up in the cooler temperatures of spring! Lots of lawn mowers humming and edgers buzzing let us know its lawn maintenance season too. Mowing: Turf-types: 2 to 3 inches. K-31: 2 1⁄2 to 3 1⁄2 inches. Raise height to the upper end of the range during the summer. Watering: In the Spring water minimally. Summer: 1 to 1 1⁄2 inches per week. Fall: only as needed to prevent wilting. Planting: September or March through April, using 6 to 8 pounds of seed per 1,000 square feet. Dandelions: Herbicides are most effective in the fall. Crabgrass Preemergence herbicide: Apply before redbud trees reach full bloom. Grubs: Treat May through July depending on when grubs are present. Doing these chores at the correct time and correct way will save you money and time and help create a healthy, beautiful lawn. Why do weeds invade your lawn! Weeds are opportunist! Meaning they grow when the conditions (opportunity) is right for them. Too dry, too wet, poor soil drainage, compacted soil, temperature, etcetera, weeds will find a way! Why do weeds invade your lawn? Mowing too low and too infrequently thins the turf, allowing weeds to get started.